Advanced tree Care is a small business entity focused on providing high quality tree maintenance services at an affordable rate. We are licensed, bonded, and fully issued. All our job sites are directed by a Certified Arborists with Certified Tree workers. 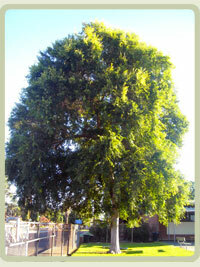 Advanced Tree Care proudly serves Los Angeles, Riverside, San Bernardino and Ventura Counties. Advanced Tree Care specializes in designing tree maintenance programs for every budget to include hazardous tree removal and tree replacement recommendations. Advanced Tree Care only follows pruning standards set forth by the International Society of Arboriculture and National Arborist Association Advanced Tree Care is well equipped to perform any job large or small. Included in our fleet of trucks is a 60' aerial boom truck that allows us to perform large scale projects with ease. Advanced Tree Care has a Certified Arborist on staff with over 30 years experience in the tree care industry. Our Certified Arborist can perform tree diagnosis, treatment recommendations and can generate Arborist reports. At Advanced Tree Care, customer satisfaction and promoting proper tree maintenance to ensure the health of your trees is our number one goal.